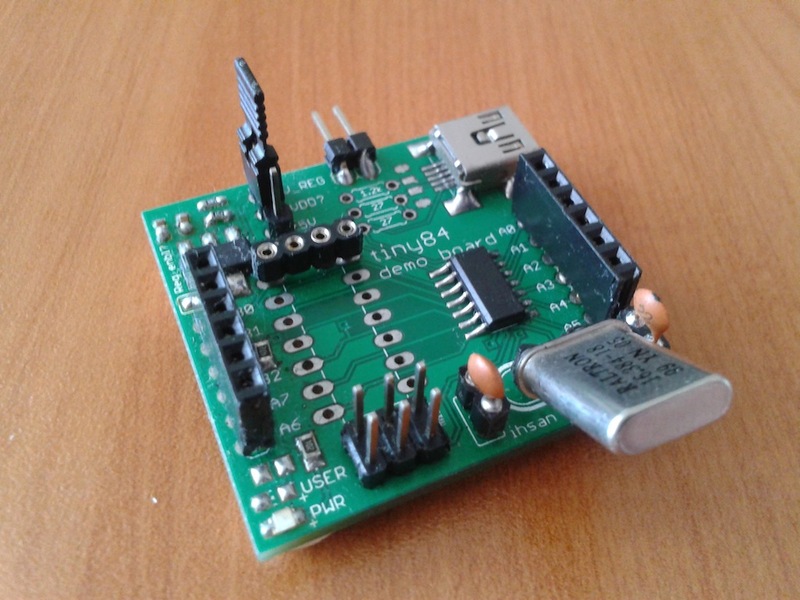 Basic Attiny84 breakout board. It has footprints for both SMD and through hole chip. 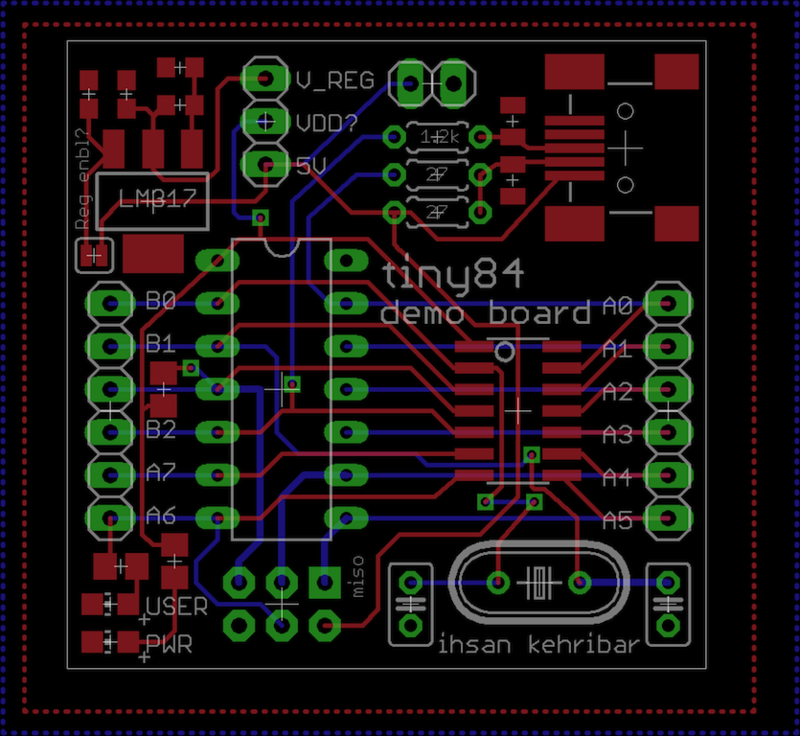 Also, the board has USB circuitry to enable VUSB based projects.